I’m not even gonna lie, I am avoiding NaNoWriMo like the plague this year. I applaud all of you who are doing it, but…. I failed so miserably last year, and this year I am busier and more stressed out. It’s just not the time to put more expectations on my plate when I already feel I fail at most of my current, non-NaNo ones. I’m cheering you all on, though. 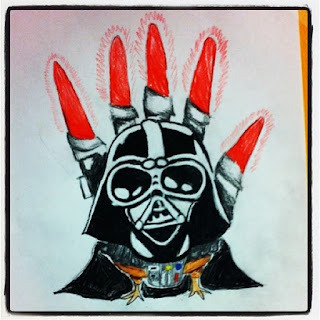 Speaking of stress, at work tonight we were given the task of creating “hand turkeys” by one of the supervisors. Not officially, just “please do this to decorate, it will make me happy”—so we did. I was thinking about it as we did it, at first begrudgingly, then more willingly—and more creatively. What is it about coloring, cutting, and gluing that was so pleasant? I’ve been hearing and seeing more lately about “adult coloring books” and “adult play”—there’s even a place in NYC that is running an “adult preschool” for… well, way too dang much money (I haven’t figured out what they mean by a “sliding scale” of between $333 and $999, but since they get to decide who to accept into the preschool, I imagine those who say they can only pay $333 probably are on the bottom of the wait list). 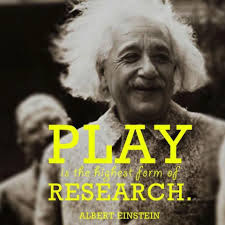 But there is also evidence that play does much more. It may in fact be the highest expression of our humanity, both imitating and advancing the evolutionary process. Play appears to allow our brains to exercise their very flexibility, to maintain and even perhaps renew the neural connections that embody our human potential to adapt, to meet any possible set of environmental conditions. Now that article is from 1999. But no research has come about to contradict it—as a matter of fact, there is more evidence than ever that play—especially creative play—can not only relax and de-stress the mind, but can serve as actual therapy. We’re not talking coloring books, though—we are talking CREATING. · Draw your main character. Or a villain. Or the hunky love interest. Doesn’t have to be perfect, or even good. Get out the hot glue gun and glitter if you want. Make it into a doll and use it to act out a scene in your book. Get silly. · Use your kid’s actions figures and Barbie dolls to act out a scene—or not even a scene. Pretend that they are suddenly flung from the world of the book into modern day—argue with them, make them have a dance off. · Since many of us will be alone in our writing place, while all are asleep, when this writer’s block stress machine attacks, head for the nearest open space and make up an interpretive dance. You don’t have to dance LIKE no one is watching, because, seriously. It’s 2 am. No one is watching. · Do you know how to play an instrument? Take a few notes and create a song for your character. You don’t have to remember it later or write it down. You can even change the words to someone else’s song if you want. · DO NOT START PLAYING ONLINE GAMES—I say this because it is not creative play, it is not going to expand your mind, it is just numbing it. What other creative outlets do you have? How do you use creative play to break writer’s block, or to simply de-stressify your life? Share in the comments! I'm stuck on my Nano story and I'm relieved to think that all I need to do is play! Time to break out the colored pencils!